Home » What’s the REconomy Project? » What’s the Future of Local Economies? 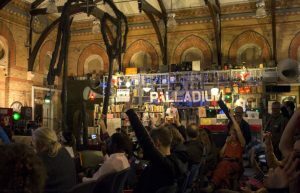 Note: This comment piece is our response to a collective report on the Future of Local Economies which was the outcome of a collaborative day with 20 REconomists from across the UK . 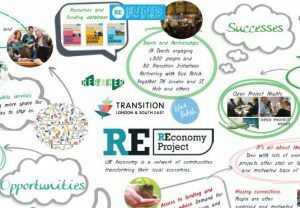 Three years ago t he UK REconomy Project set out to explore ways communities could best support the transformation of their local economies. There have been some great successes, including our local pilot projects that have seeded new enterprises and collaborations and informed the development of new resources, our events programme that has brought together over 500 people from around 50 Transition Initiatives, and the development of some brilliant new partnerships. We’ve put together a visual document outlining the successes, opportunities and challenges. As the funded element of this phase of REconomy comes to an end we look at what support is needed now across the movement to take the work forward. We are seeing a lot of positive developments in the world of community investment and finance. There is a growing demand for ethical investment opportunities. Many local groups are working on new local financial products and investor networks, and local currencies are increasingly popular and in some places they have become a well loved and used part of the day to day high street experience. It is not all great news. Despite increasing investor appetite, new enterprises often find the world of finance very daunting and lack the skills, confidence and/or resources to be in a position to take up investment opportunities. Although there are a growing number of people with experience of setting up community enterprises, these people are often very overstretched and lack the time and resources to help others. Finally, although there is a lot of interest in local currencies and community-based financial vehicles technical, cultural and economic barriers are slowing their development and take-up, particularly in more deprived areas. Questions also still exist around the effectiveness of new currencies, and there is a feeling that more radical solutions are required for real economic transformation. More seed/start-up funding opportunities to enable new groups to get investment ready. What’s needed for local economic change? 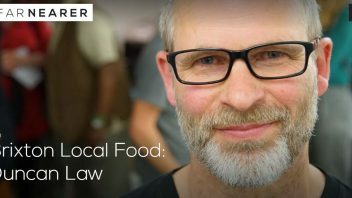 Culture shift – challenge people’s connection and loyalty to high-street banks and encourage support for local credit unions and other community development finance initiatives. In all areas of the UK, legislation is being enacted that, at least theoretically, gives the community new powers to develop, direct and run public assets, land and services. In areas like Froome we are starting to see the emergence of a new generation of local politicians who are disrupting established power bases and asserting these new powers. Despite these new opportunities in most places there is still a low level of awareness of these opportunities, and very limited take up of the new powers. 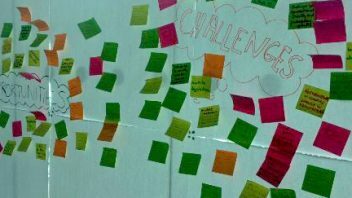 New initiatives to promote and support the development of collaborative leadership and innovative facilitation techniques for local politicians and public servants. This would help Local Authorities and Anchor institutions understand and explore the potential of participative democracy processes and collective and community-focused decision making. The new economy sector can feel like a crowded market with a dizzying array of organisations offering different things, to different people and projects, in different places and in different ways. There is a concern that these organisations are absorbing funding that may be better spent at the community level and do not always understand the particular needs and opportunities of enterprises that are seeking to use experimental business models and deliver community and environmental, as well as financial, benefits. Although there are big questions about the role and effectiveness of national delivering organisations, there is continued demand for the type of technical advice, skill sharing and connection they often provide. The Renew Wales paid peer mentoring model has been identified as a great example of an organisation delivering on the ground, and achieving light touch bureaucracy and maximum community benefit. …so what and where next for UK REconomy? Over the past-3 years we have seen a rise in Transition Groups and other community groups starting to consider their local economies and initiate REconomy style projects. Although the initial funded UK funded REconomy project is coming to a close, there is a strong sense that this is only the beginning of the journey. A consortium has come together to develop a proposal and seek funding for a paid peer mentoring pilot in England based on the Renew Wales model that has the potential to benefit REconomy-style start-ups, community groups and more established social entrepreneurs. Continue to explore how the REconomy work might fit within a broad-based bottom-up new economy movement in the UK, with a much broader and bigger base than either REconomy or Transition. As a next step we plan to convene an online UK REconomy development meeting inviting people from UK regional networks and other interested parties. If you would like to be part of the discussion about how the UK REconomy work might be taken forward please get in touch. We are keen to get our new organisational arrangements right, and they may take some time to set up. For now, we will continue to publish regular newsletters and update our social media to help keep people connected and aware of things going on. If you have any ideas for the newsletter or any events or activities you would like to promote please get in touch via Facebook and Twitter. Start up funding is a perennial issue. For example, while a trailblazing initiative like the Bristol Pound might well be able to access grants, such support is not then so likely to be available to other local currencies. Could we be supporting innovative structural mechanisms to create possible funding streams for local economy projects? One possibility might be to build on current campaigning for land value taxation – “raising public revenue by means of an annual charge on the rental value of land”. As campaigners point out, land acquires a scarcity value owing to the competing needs of the community and so any increases in land value should belong to the community. Could REconomy type projects work with their local authorities to promote versions of land value taxation/capture? This could result in a public discussion of how communities might share in benefitting from increasing land values rather than all of such increases flowing to those who own the land. In addition it could create a funding stream for local economy and other community projects.